The goal of this video is to show how to use “Proximity” plugin in electronic music. Proximity is KVR Audio Developer Challenge 2012 entry. Voting ends 5th of December. Download! Register! Vote! Your votes are very important to all developers! The track used in this video is “Juggernaut” by Rusty K.
PS. This video also features Molot compressor in side-chained mode and Limiter №6. PS. I can confirm the bug with plugin crash on ctrl + click (or cmd + click on Mac). It occurs in GUI#1 when you use ctrl + click on control label (but not on control itself). Patched version soon will be available. – GUI#2 editable label color was fixed in Mac version. 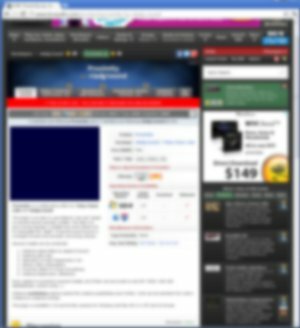 There was some reports about problems with “Proximity” AU version and Logic 9. At the same time a lot of users report that the plugin works on their Logic 9 without any problems. I can’t reproduce this problem yet. But seems reinstalling the plugin for some unknown reason can help. I’m really sad about these problems but we’ll try to fix them. Because upcoming AU versions of our plugins will use the same code. Yes, this plugin had lack of testing on Logic due to competition preparation tight schedule. PS. I want to prepare one more video about this plugin in a few days! 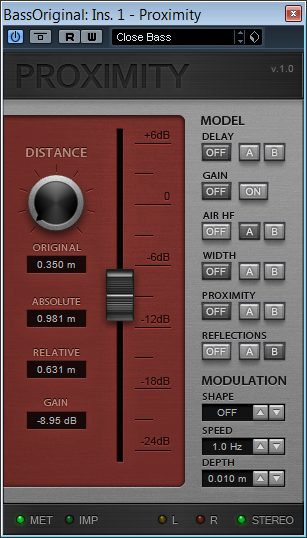 This plug-in is an easy to use distance “pan-pot” based on several psycho-acoustic models. The idea is to give mixing engineer a reliable tool which allows him to manipulate the “depth” of several sound sources in a straight forward and convincing manner. Distance signal delay by speed of sound. Absorption of high-frequencies in air. Proximity effect of virtual microphone. All of them can be turned on and off to taste. Distance modulation options extend the creative possibilities even further. Units can be switched from metric (meters) to imperial (inches). 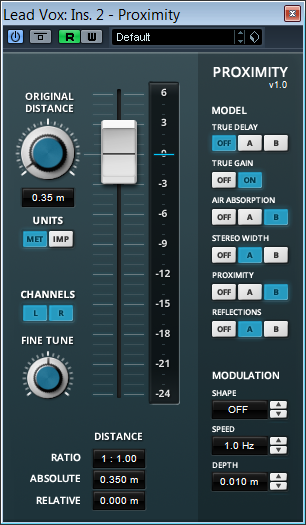 The plug-in is available in 32 and 64-bits versions for Windows and Mac OS X in VST and AU format. PS. KVR DC12 entry is ready. Let’s go! Demo video for this entry will be ready soon! KVR Developer Challenge 2012: 3 days to deadline! PS. Okay, I don’t offer my own plugin for this competition but I’m participated! See you very soon!